Valentine's Day may be over but the love continues. Apparently, every day is Valentine’s Day with Baskin-Robbins. 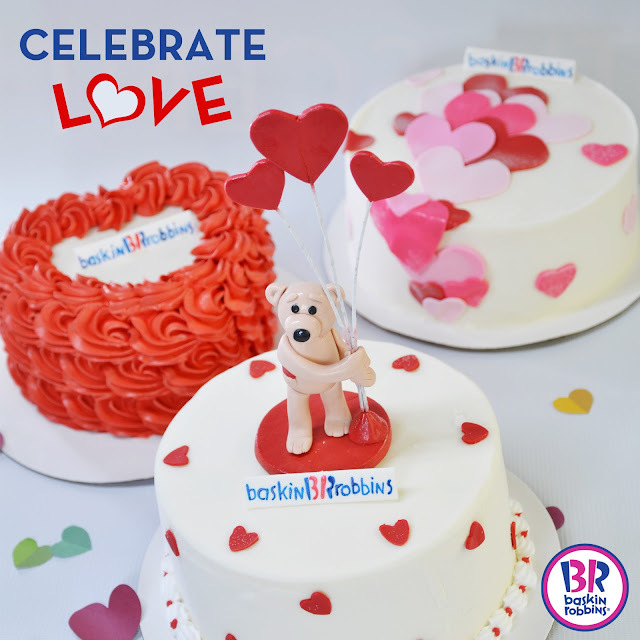 So, why not surprise your loved ones with gorgeous Valentine’s themed Baskin-Robbins ice cream cakes made with their favorite flavors? We've tried the Shades of Love from Baskin-Robbins and it was delicious – a fun marriage of chocolate chip and ice cream, and is the perfect treat for your loved ones. It's super creamy but not overly sweet. I wanted to lick it off the spoon forever and ever. I hate to admit but I have a weakness for chunky ice cream, and my hubby has a thing for bittersweet dark choco chip, which means that we’ve already worked our way through three cups of the stuff. Not sorry. 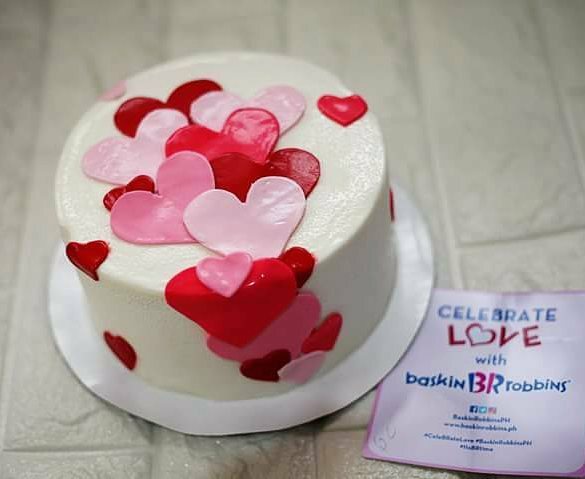 Baskin-Robbins' cake makes a beautiful and special treat for your special someone. Top it off with a sweet message and choose the design, shape and size of your cake for that personal touch. Visit Baskin-Robbins shops at Central Square, Bonifacio High Street, Uptown Place Mall, and SM Aura in Bonifacio Global City; Greenbelt 5 and Glorietta 5 in Makati; Fairview Terraces, Trinoma Mall and SM North (Main Building and The Block) in Quezon City; SM Southmall in Las Pinas; Solenad in Sta Rosa, Laguna; SM Dasmariñas in Cavite; and SM Pampanga. For more updates, check out www.baskinrobbins.ph or its social media accounts: facebook.com/baskinrobbinsph, Twitter, and Instagram @baskinrobbinsph. Thank you to Baskin-Robbins for sending this cake, and for making such heavenly and delicious ice cream cakes!